In accordance with the mission statement of Missouri Baptist University, the academic program, and the music discipline, this degree program focuses on preparing students for careers in Music Education leading to certification by the Missouri Department of Elementary and Secondary Education (K-12). All candidates for Missouri State Teacher Certification must be formally admitted into the Missouri Baptist University Teacher Education program in the Education Division. No student will be allowed to student teach unless he or she has been formally admitted into the Teacher Education program prior to applying to student teach. The Bachelor of Music Education degree is restricted to students seeking teacher certification in vocal and/or instrumental music at the K-12 level. Students must meet all requirements for certification before this degree will be conferred, including passing the following: 1) all sections of the Missouri General Education Assessment (MoGEA); 2) the Professional Development Folio (semester prior to student teaching); 3) the Missouri Content Assessment(s) (MoCA) for each area of certification sought; 4) and the Missouri Pre-Service Teacher Assessment (MoPTA) (completed during student teaching). All music degrees require the student to have a primary performance concentration that leads to a Senior Recital and a secondary performance concentration. The Bachelor of Music Education degree requires coursework from the Education Division to complete certification as mandated by the Missouri Department of Elementary and Secondary Education and a performance concentration in instrument, piano, or voice. All persons majoring in any music field are required to have seven (for Music Education) or eight (for all other music majors) semesters of completed (passed) recital attendance. All persons majoring in any music field are required to present a senior recital. Those seeking bachelor’s degrees in Music, Music Ministry, Musical Theatre, Music with Elective Studies in Business and Music Education are required to present a 30-minute recital, which has been preceded by two semesters of upper division credit in their major performance area. Majors in the Bachelor of Music in Performance are required to present a 30-minute junior recital and a 50-minute senior recital in their major performance area. Two of four upper division lesson credits must precede the junior recital with the remaining two before the senior recital. All persons majoring in any music field are required to participate in a large ensemble. The ensemble may be choral, instrumental or both, depending on the degree sought. Students must earn eight semester hours of large ensemble credit for all music majors, except Bachelor of Music Education majors, who must earn seven semester hours (the eighth semester is excused from ensemble participation because of their professional education/student teaching semester). Music minors must earn four semester hours of large ensemble credit. Only one credit per semester in each area (vocal and/or instrumental) may be applied to this total. †Students who pass the theory placement test are not required to take this course. *One performance area must be voice and the other an instrument. **Voice credit may be Class Voice, Private Voice, or a combination of both. ***Advanced piano students may take proficiency exam for up to four semesters of credit. Piano credit may be Class Piano, Private Piano, or a combination of both. ****The student may take courses listed as Small Ensemble to complete this requirement. All degree plans reflect the new Missouri Department of Elementary and Secondary Education (DESE) certification rules which take effect August 1, 2017. Candidates able to complete all requirements for graduation and certification by July 31, 2017, may opt to finish under the outgoing compendium requirements. Dr. Smith serves as Chair for the Fine Arts Division at MBU and Director of the MBU Honors Program. He served public schools in Ft. Worth, Texas and Fullerton, California before embarking on his college teaching career in 1990. He also sang professionally with the Oregon Bach Festival Chorus, Musica Viva of San Bernardino CA, the Los Angeles Chamber Orchestra Chorus, and the Phoenix Bach Society (now the Phoenix Chorale). He has been a worship leader for churches in Texas, California, Arizona, Oregon, and currently serves as Director of Traditional Worship at St. Paul’s Evangelical Church in St. Louis. Dr. Smith has directed honor choirs in Texas, California, Missouri, Illinois, and Washington and is a frequent clinician and judge for high school festivals. Most recently, he was the choral clinician and Honor Choir Director for the 2013 ACSI Northwest Musicale in Seattle, Washington. In May 2014, Dr. Smith led members of the MBU Chorale and Choral Society on their fifth European tour, performing and ministering in Austria and Czech Republic. 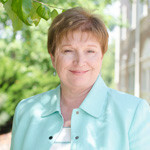 Cathy Benton serves as Professor of Music and Director of the MBU Ringers. Dr. Benton has a Bachelor of Music Education degree from Murray State University, a Master of Music degree in Piano Performance from Webster University, and the Doctor of Musical Arts degree in piano performance from UMKC. Dr. Benton performs as a soloist and accompanist on the piano, organ and harpsichord and has been an adjudicator and clinician for numerous keyboard festivals and workshops. She is currently organist/pianist at Kirk of the Hills Presbyterian Church in St. Louis. Dr. Benton was honored for her achievements in teaching by being included in several editions of Who’s Who Among America’s Teachers. She was also awarded the Emerson Excellence in Teaching Award. Dr. Benton is a member of SLAMTA, MMTA, MTNA, National Guild of Piano Teachers, the Handbell Association of Greater St. Louis, the Handbell Musicians of America, and NAfME. She is the Immediate Past President of the Missouri Music Teachers Association (MMTA) and is currently serving as Missouri State Chair for the Handbell Musicians of America. Jordan Cox is the Director of Choral Activities at Missouri Baptist University. He is currently pursuing a Ph.D. in Music Education with emphasis in Choral Conducting from the University of Missouri and holds a Master of Arts in Religion in Worship Studies from Liberty Baptist Theological Seminary and a Bachelor of Music Education with K-12 vocal certification from MBU. Prior to joining the faculty of MBU, Mr. Cox taught 6-12 grade vocal music in the Jackson and Cape Girardeau school districts where his ensembles earned top ratings at district and state events as well as received the Outstanding Beginning Teacher award and Southeast District Outstanding District Director award from the Missouri Choral Directors Association. Mr. Cox serves as the Exhibit Coordinator for MCDA and is also an active member of MMEA and NAfME. Mr. Cox has also lead worship at numerous churches, conferences, and events throughout Missouri and currently serves as a worship pastor at First Baptist Church of Ellisville, where he attends with his wife Kasey and two children, Noah and Jobi. 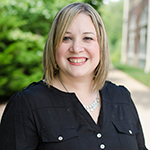 Kasey Cox is pleased to serve as the Director of Theatre at MBU. She is a 2010 graduate of Missouri Baptist University with a degree in Musical Theatre and a 2014 graduate of Fontbonne University with a Master of Arts in Theatre. Some of her favorite roles include Sally (You’re a Good Man, Charlie Brown), Woman 1 (Songs for a New World), Rosie (Bye Bye Birdie), and Jo March (Little Women: The Musical). She was the Artistic Director and founder of Acting Out!, Cape Girardeau, MO’s premiere theatre company, from 2013-2015 and currently serves on the board of Silhouette Productions in St. Louis. She is also an active member of STAM and EdTA and has presented at a local and statewide level. Kasey has been participating as an actor and a director in drama ministry for 16 years, training with nationally recognized ministries such as The Applied Theatre Center, New Life Drama Company, and Youth With a Mission. She has performed in churches across the country using methods ranging from scenes to human videos to Augusto Boal’s Theatre of the Oppressed. She currently directs In Charactre, Missouri Baptist University’s drama ministry team, and teaches courses such as Acting, Directing, Drama in Ministry, and Appreciation of Theatre. 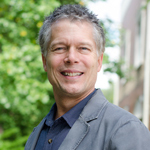 Dr. Ladd Faszold has degrees from Southeast Missouri State University (Bachelor on Music Education–Choral), New Orleans Baptist Theological Seminary (Master of Church Music with an emphasis in composition), and University of Memphis (Doctor of Musical Arts in Sacred Music–composition). He teaches courses in advanced theory, music history, and composition. He is a composer of choral, chamber, and orchestral works. Twice local orchestras have performed his symphony, London, 1940. Dr. Faszold performs with the St. Louis Symphony Orchestra Chorus. With this ensemble he has worked under world-renown conductors, such as Leonard Slatkin, Robert Shaw, and David Robertson, performed at Carnegie Hall in New York, and participated in several major label recordings. He is a voting member of the National Academy of Recording Arts and Sciences (NARAS), which annually presents the Grammy Awards. For 30 years Dr. Faszold has conducted various churches as worship leader and choir conductor. 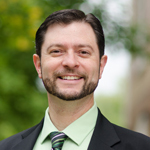 Dr. Faszold’s teaching assignments include Music History, Music Technology, and upper level Theory. Dr. Mallory is excited to join Missouri Baptist University teaching voice, opera, diction, vocal pedagogy, and vocal literature. Since 2013, he has been cantor at Our Lady of the Pillar and section leader at First Presbyterian Church in Kirkwood, where he and his wife, Dr. Leslie Allnatt Mallory, and their children, Teddy and Evie are shortly becoming members. 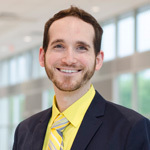 He is a member of the National Association of Teachers of Singing (NATS) and the College Music Society, and he previously taught at the University of Missouri – St. Louis, Lindenwood University, University of Iowa, University of Louisville, and Coe College. As a performer, lyric baritone Dr. Mallory has been seen on stage in opera and oratorio in the United States, Italy, and Poland. Some of his favorite roles are Count Almaviva in Le Nozze di Figaro, Don Alfonso in Così fan tutte, Dancaïro in Carmen, Dr. Dulcamara in L’Elisir d’amore, Giorgio Germont in La Traviata, Aeneas in Dido and Aeneas, Top in The Tender Land, and Pooh-Bah in The Mikado. His oratorio credits include Bach’s Christmas Oratorio, Haydn’s Lord Nelson Mass, Mozart’s Vesperae solennes de Confessore, Saint-Saëns’ Christmas Oratorio, Fauré’s Requiem, and Vaughan Williams’ Five Mystical Songs. At MBU, Dr. Mallory’s teaching assignments include Opera Theatre, Vocal Literature, Vocal Diction, Vocal Pedagogy and private voice. Dr. Means brings more than 30 years of experience to his teaching position at Missouri Baptist University, including 12 in the newspaper business followed by 18 in higher education. After graduating from Baylor University in 1986 with a bachelor’s degree in journalism and a minor in radio/TV/film, Means did nearly everything in the newspaper business from reporter to editor, and all points in between, before going back to school and earning his master’s degree from the University of West Florida in 1998. After teaching and directing journalism programs at Morris College and Southeastern Oklahoma State University, Means went back to school and earned his doctorate in mass communication from the University of Southern Mississippi, where he also taught journalism courses. 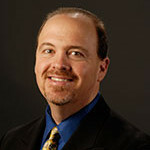 Dr. Means went on to teach and conduct research at Baylor University before joining MBU in fall 2011. In 2017, Dr. Means was given the Distinguished Professor Award, presented MBU’s spring commencement ceremony. Teaching journalism is Dr. Means’ passion and he is glad to be at a Christian university that cultivates learning and faith. His teaching assignments include Basic Reporting & Writing for Journalism, Opinion Writing, Photojournalism, Convergent Media, and Intro to Mass Media. 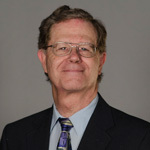 Alonzo L. Medcalf is an Instructor of Communications and Multimedia Production and the Director of the Broadcast Media Program at Missouri Baptist University. His area of expertise is in video production with ten years of comprehensive knowledge of television news. Working for 3 local news stations in the Midwest (KSN, WHAS, KMOV), he has experience with electronic news gathering, video field production as well as linear and non-linear editing. He was nominated for 2 regional Emmys in 2015 and 2016 by the National Academy of Television Arts & Sciences (Mid-America chapter). He was awarded 2nd place by the Kentucky Associated Press for the best hard news feature story in 2014. And holds a Certificate of Merit from the Missouri Broadcasters Association (2009). He is a member of the National Academy of Television Arts & Sciences (Mid-America chapter, 2015-current), Kentucky News Photographers Association (2014), National Academy of Television Arts & Sciences (Ohio Valley chapter, 2014), National Press Photographers Association (2012-2013). 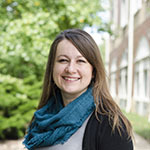 Amanda Staggenborg is an Assistant Professor of Public Relations and the Instructional Coordinator for Undergraduate Communications at Missouri Baptist University. Her research areas of interest are corporate public relations, media strategy, media law, organizational communications, crisis communications and social media ethics. She was nominated for the 2013 Kemper Award for Excellence in Teaching. She is a member of the Public Relations Society of America, the International Public Relations Association, the International Association of Business Communicators, the Central States Communications Association and St. Louis Women in Media. Her experience includes the Missouri Division of Tourism and St. Elizabeth Academy and has consulted for several St. Louis organizations. She proudly directs the Communications Media Talk, which features prominent communications professionals in the St. Louis region. Shane Williams has guest conducted in Europe with the Zapadocesky Symphonic Orchestra of the Czech Republic and the United States with the St. Louis Philharmonic, the Illinois Symphony, the Kirkwood Symphony, the Gateway Chamber Orchestra, and the Compton Heights Concert Band. As a professional musician, he has performed with the St. Louis Symphony Orchestra (noted performances at Carnegie Hall), the Illinois Symphony, the Nashville Symphony, the Joffrey Ballet, Ice Capades, Moody Blues, the Elvis Show, the Three Irish Tenors, Opryland USA, Burt Bacharach, Roger Williams, Dionne Warwick, Tommy Tune, and many others. Mr. Williams was a featured guest artist with the Equinox Players for the Women in the Arts Conference featuring the music of contemporary composer, Beth Denisch. He has served on the faculty of the Masterworks Music Festival for 14 years. Mr. Williams holds a Bachelor of Science degree in Music Education from Austin Peay State University, a Master of Music degree in Percussion Performance from the St. Louis Conservatory of Music and a Master of Music degree in Conducting from the University of Missouri-Columbia. 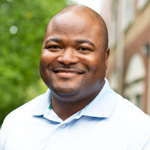 He is currently completing his doctoral work in Instructional Leadership. 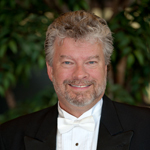 His previous conducting posts include Conductor of the Dayspring Festival Orchestra, Music Director/Conductor of the Alton Summer Chamber Series, Music Director of the Sangamon Valley Youth Symphony, Music Director/Conductor of the Young Peoples Concert Orchestra, Associate Conductor of the Alton Symphony, and Resident Conductor of the Award-winning St. Louis Brass Band. He is a regular guest conductor, performer, clinician, and adjudicator within the region. Symphonic Orchestra. Erin Bode is a singer who is comfortable mixing jazz standards with well-known pop tunes and classics from the Great American Songbook in a typical performance. The daughter of a Lutheran pastor who was raised in a musical household in the Twin Cities of Minnesota, Bode sang in a church choir as a teenager before discovering jazz and big-band music while in high school in St. Louis. She also studied trumpet and participated in theater, eventually deciding to pursue a music degree. Starting at the University of Minnesota, she transferred back to the more intimate setting of Webster University in St. Louis, where she benefited from the tutelage of jazz pianist and singer Christine Hitt. She joined the jazz vocal ensemble at Webster and also sat in with Hitt during the pianist’s local gigs at her instructor’s invitation. Bode earned her degree in music and foreign languages, remaining in St. Louis to play engagements in the area. Following the release of a self-produced CD (Requests) in 2001, which included a locally popular version of Cyndi Lauper’s “Time After Time,” her career took off. Receiving heavy local airplay, she was signed to the St. Louis- based Maxjazz label, which released her CD Don’t Take Your Time in 2004, and included an updated version of “Time After Time” that was inspired by the late singer Eva Cassidy. This CD gave her much greater national exposure. Erin Bode has frequently been compared by critics and jazz radio hosts to both Cassidy and the young jazz superstar Norah Jones for her willingness to explore a wide range of material in a fresh, often subtle manner. Keith Boyer, tenor, is an adjunct instructor of voice at MBU and Jefferson College, and a soloist for the St. Louis Symphony. In 2013, Keith Boyer made his Carnegie Hall debut as Horace Adams in the St. Louis Symphony production of Peter Grimes. Boyer collaborated with a world class cast, which included his son Garrett as Peter Grimes’s Apprentice, under the direction of David Robertson. Boyer was named the Best Male Opera Singer by the St. Louis Post Dispatch on “The Go! List 2014.” In a 2011 concert featuring Christine Brewer, he sang the brief tenor solo in Prayers of Kierkegaard. The following year he had the unique experience of working with Grammy Award-winning conductor Arnie Roth in the concert Final Fantasy: Distant Worlds. Mr. Boyer has numerous opera and theatre credits, including Nepomuc in The Grand Duchess of Gerolstein with Opera Theatre of St. Louis, Ferrando in Cosi fan tutte with Union Avenue Opera, Sister Act and South Pacific with STAGES St. Louis, and Jean Valjean in Les Miserables with both MBU Theatre and Alpha Players. Mr. Boyer also maintains a private voice studio and lives just south of St. Louis with his wife Amanda and their three sons. Dr. Hart is from Michigan and earned his Bachelor of Arts degree in Music Theory, History and Political Science at Olivet College. He earned his Master of Music and Doctor of Musical Arts degrees at Michigan State University. He has extensive musical experience with college and church choirs. He has taught a variety of courses at MBU including Music Appreciation, Advanced Conducting and Choral Literature. Soprano Elizabeth Ducey Moss holds a Doctor of Musical Arts degree in vocal performance from the University of Illinois, a Master of Music degree from Binghamton University, and a Bachelor of Arts degree in music from Acadia University. Prior to her current role as Instructor of Voice at Missouri Baptist University, Dr. Moss served as Assistant Professor of Voice at McMurry University. She has also served on the faculties of Illinois Wesleyan University, North Central College, and Webster University. Her professional operatic credits include leading roles in The Magic Flute, Così Fan Tutte, Don Giovanni, Madama Butterfly, Les Contes d’Hoffmann, Hänsel und Gretel, Amahl and the Night Visitors, and Die Fledermaus. Her oratorio credits include Beethoven’s Missa Solemnis, Brahm’s Requiem, Mendelssohn’s Elijah, and Mozart’s Requiem. One of her more recent appearances was as Lady Thiang in The King and I produced by the Abilene Opera Association. Elizabeth received extensive training in the Tri-Cities Opera Resident Artist Program and has been a national semi-finalist in the National Association of Teachers of Singing Artist Award competition. She has been a featured artist presenter in the Heavenly Rest Chamber Music Concert Series, the Rocky Mountain Region College Music Society Conference, and in the Artist Series of the Texoma Region National Association of Teachers of Singing Conference. She continually seeks to expand and diversify her repertoire by performing a variety of programs from new music to chamber and oratorio works. Elizabeth is a member of the College Music Society, National Association of Teachers of Singing, and an honorary member of Sigma Alpha Iota International Music Fraternity. Dr. Ducey Moss’s teaching assignments at MBU include Commercial Vocal Styles, Private Voice, and Appreciation of Music. The son of an accomplished opera singer, Charles received early musical training in both voice and percussion. Charles has utilized both his strong vocal and percussion talents as the opening act for such national groups as Smokey Robinson, Huey Lewis and the News, and the Allman Brothers. Charles has also performed and worked with Andre Crouch and Stellar Award winner Calvin Bridges, and was selected to perform a series of limited engagements with Grammy Award-winning group “The Fifth Dimension”. He has had the opportunity to perform during gala grand openings for casinos in Kansas City and Las Vegas. His unique style and high spirited performances have been a highlight of many conferences and retreats for major corporations and organizations. In addition, Charles was selected by Don King Promotions to sing the National Anthem for two nationally televisedboxing matches. This local Emmy Award winner also has had the distinct honor of singing the National Anthem for the St. Louis Rams, St. Louis Cardinals and St. Louis Blues. He has been the National Anthem singer for the St. Louis Blues Hockey team for over a decade. One of Charles’ most memorable moments was singing the National Anthem and “God Bless America” for the St. Louis Rams versus the New York Giants football game two weeks after September 11, 2001. Charles is a frequent teacher and performer at gospel workshops in Hamburg and Ahrenburg, Germany. He is an active volunteer and contributor to local schools’ music and performing arts programs and is a board member of the New Line Theatre company. Charles was also a featured prize winner on NBC’s inaugural season of the musical competition “The Winner Is”. 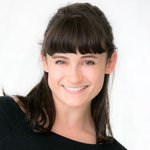 Claire Horrocks was born and raised in Los Angeles, California, where she trained and competed nationally in ballet, jazz, tap, and musical theater. Upon graduating high school, she toured nationally with the Radio City Rockettes in the 2008 Christmas Spectacular Arena tour. Claire then pursued a BFA in Ballet Performance from the University of Oklahoma School of Dance while dancing with the Oklahoma Festival Ballet, then continued her professional performing career with the Louisville Ballet, Missouri Ballet Theatre, and Common Thread Contemporary Ballet Company. She is a certified mat pilates and yoga instructor, and incorporates her knowledge from these certifications in her classes. Love, faith, and guidance are the foundation of Claire’s teaching, and she is blessed to share her knowledge and passion with the talented students of Missouri Baptist University. Dr. Memani joined the MBU Communications faculty in fall of 2017, specializing in Speech Communications. She earned her Ph.D. in Mass Communication and Media Arts from Southern Illinois University Carbondale, and her M.A. from Nelson Mandela Metropolitan University, Port Elizabeth, South Africa. She is a frequent lecturer, guest speaker and researcher on the topics of social media, mass communication, ethics and politics. In addition to MBU, Dr. Memani is an adjunct instructor at Lindenwood University and Jefferson College. Mark Roach is a singer, songwriter and worship leader who brings his vast experience in the recording studio to Missouri Baptist University. At thirteen, Mark picked up his first guitar and finally put chords to the first melody he’d ever written three years earlier. By the time he graduated high school, he had officially adopted the title singer/songwriter. Four years later, Mark released his first full-length recording entitled The Road to Home–the culmination of his tenure at Millikin University in Decatur, IL. After Graduating College, Mark headed to Nashville. Still writing primarily secular pop/rock music, the Christian industry in Nashville didn’t seem to be a fit, so he headed back to his hometown of St. Louis, MO in ’99. Ironically, only months later, Mark accepted what would prove to be a life-changing position at Morning Star Church, a new church start in O’Fallon, where he began writing worship songs as the Music Director and Worship Leader. Mark has written several worship songs now sung in churches across the country, and is currently in his seventh year as Worship Leader at MSC. Six of Mark’s original worship songs have been featured on National compilations, including appearances on WOW Next 2007, Absolute Modern Worship 2 [Fervent Records – 2006], SongDISCovery [vol. 53] in November of 2005 and two appearances on Purpose Driven Ministries’ SongSeeker project (2004 & 2005.) He has been featured on www.songdiscovery.com, www.pdworshipcommunity.com, and www.myrrhworship.com and has led worship for churches, youth camps, conferences, and rallies from the Midwest all the way to California. A classically trained soprano, Tina Sayers has sung on both opera and musical theater stages, and enjoys performing chamber concerts and art song recitals. Her voice has been described as “…bright and melodious; perfect for the colors of Bach, Handel and Mozart, but with the intonation and exquisite phrasing necessary to perform modern repertoire with skill and grace.” She has performed as a soprano soloist with the Redlands Symphony Orchestra and the Cabrillo Chamber Orchestra, and has premiered compositions by Dr. Alexandra Pierce. First and foremost, Tina is a teacher at heart. This is made evident in her most recent performances, which have been collaborative recitals that aim to educate her audiences on opera, art song and musical theatre repertoire. Tina holds a masters degree in music (M.M.) with an emphasis in vocal performance from the Manhattan School of Music. While there, she studied voice with Patricia Misslin, and diction with Palma Toscani, Robert Cowart, and Kathryn LaBouff. Prior to her time in New York, Tina completed her Bachelor of Music degree in Musical Studies from the University of Redlands. Her degree work focused on vocal performance, conducting and composition. In 2004 Tina joined the faculty of Point Loma Nazarene University in San Diego where she served as an Assistant Professor of Vocal Studies for twelve years. In 2010, she created the Community Center for the Arts (CCFA), a non-profit arts outreach program in south San Diego, that provides a place for community members to teach, learn and experience music, dance, art and theatre. In 2016 Tina and her family relocated to St. Louis where she now lives with her husband, Jay, and children Sedona and Porter. She is currently on the voice faculty at Missouri Baptist University and maintains a private studio of voice students. Jason Stahr has been working in professional theater for over 30 years. His list of professional credits include that of designer, director, actor, and playwright. He has his MFA in Theatre from Lindenwood University. Currently, Jason is the Director of Operations and Stage Services at the Touhill Performing Arts Center. He has also been the scenic designer for many MBU Theatre productions, including The Diary of Anne Frank, Rumors, The Curious Savage, West Side Story, The Crucible, Footloose, Guys & Dolls, and Les Miserables. Jason is an adjunct in the Theatre Department and teaches classes such as Stagecraft, Stage Management, Appreciation of Theatre, Script Analysis, Theatre Media, and Stage Makeup. Jason Weaver received a Bachelor of Arts in Music with an emphasis in Guitar Performance from Southeast Missouri State University. He went on to complete a Masters degree in Guitar Performance at Northwestern University. He is an experienced instructor who has taught beginner and advanced guitar students in Classical, Jazz, Blues, Rock, Latin and Folk at Des Plaines School of Music and Kim’s International Music Academy in Chicago. He is an avid performer and has many of his recordings available online. In addition to teaching at MBU, Jason has been an instructor at Milder Musical Arts community since 2012. Jason also teaches mandolin and banjo and has made his own mandolin and several guitars.